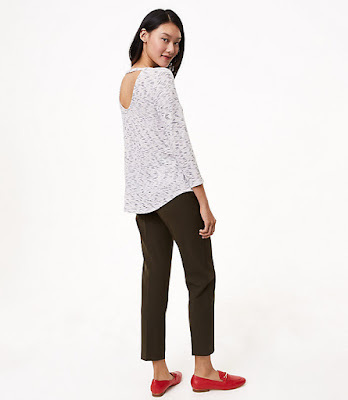 Looks Good from the Back: BUY THIS (So We Don't Have To): 70% Off Deals at Loft. 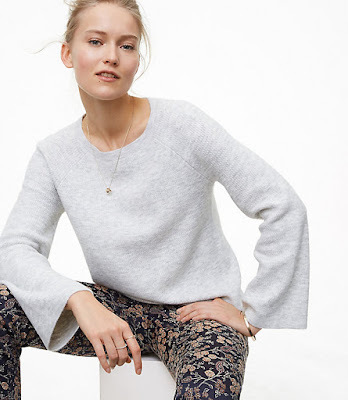 BUY THIS (So We Don't Have To): 70% Off Deals at Loft. Doesn't this look cute and soft? It comes in a few colors but I like the pale grey. Satin cargo pants? I mean, why not. They get good reviews. Y'all know how I feel about cold shoulder but I like the clean lines of this one. 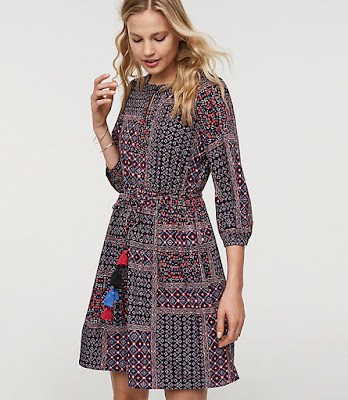 Nobody does a crazy print quite as well as Loft. Plus bonus tassels! Gin carnigan alert! 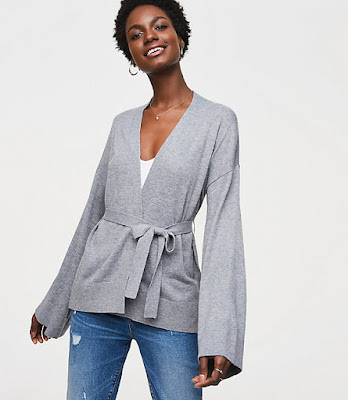 This one looks like a winner and I love the bell sleeves. 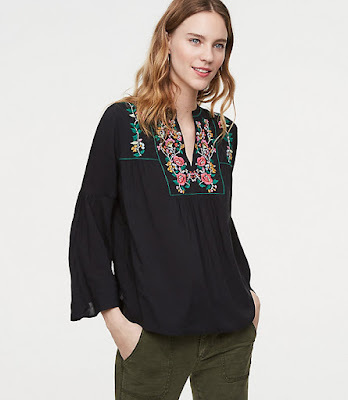 The top that gets you a million compliments every time you wear it. 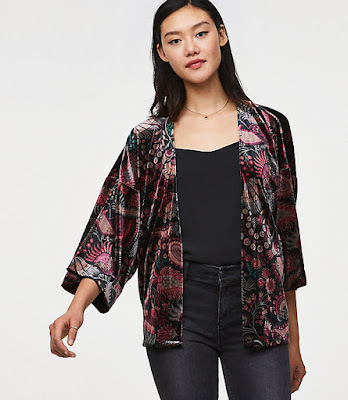 How pretty is this velvet kimono! 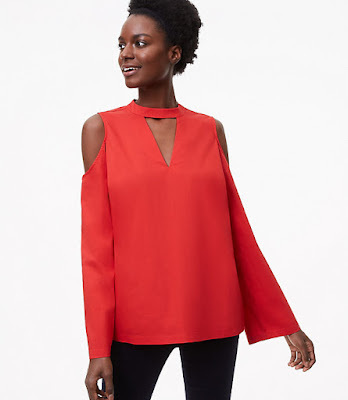 Just the thing to throw over a plain tee for instant fancy. 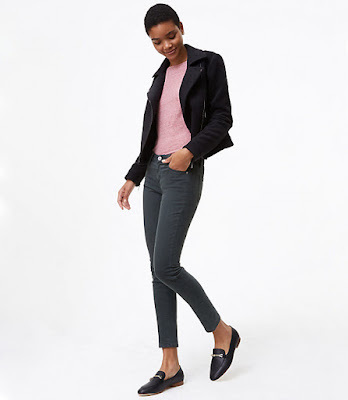 Skinny jeans in several cute colors but I love the dark green-grey the best. A super soft t-shirt with interesting back details. 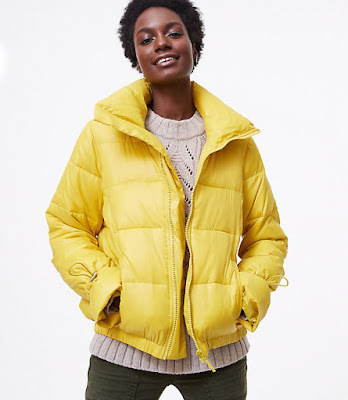 Why can't your winter puffer jacket be bright yellow? 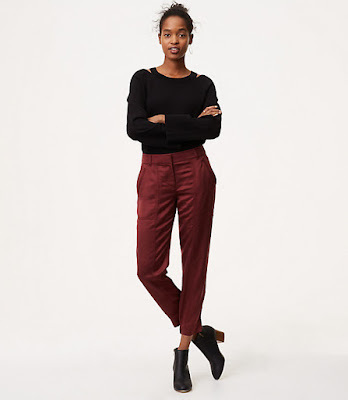 Loft used to be my go-to for excellent outfits but for the last 3 years or so they’ve been so out of step for me. I usually can’t find anything I’d want to buy. There were a couple things in the sale I would have considered, but I’m not going to buy anything final sale sight unseen. Too bad, Loft! Loft is really hit or miss for me but the stuff that works, really works. Most of my picks are not final sale because I agree - I'm not buying anything final sale that I haven't seen/tried on in person.